On the weekend of September 16-18, 2016, the first ever, ACROD stewardship coordinator retreat was held at Camp Nazareth. 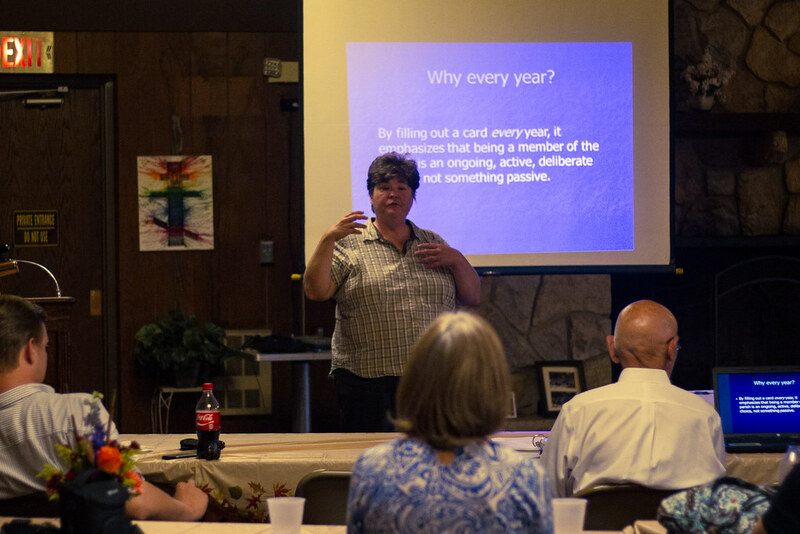 The theme of the retreat is “Parish Application of Stewardship.” Stewardship Camp took place at Camp Nazareth in Mercer, PA. Eve Nucifora, our parish Stewardship Coordinator took part, representing our parish. The camp was an outstanding success with fifteen participants and four Stewardship Commission members in attendance. Presentations were made by Commission members Dan Hromyak and Stephanie Betsa. The presentations were well received and led to lively discussion. The participants stated that they were happy they came and their concept of Stewardship had changed. Posted photos, courtesy of Alex Zarynow, show scenes from the weekend retreat. Stewardship Commission member Stephanie Betsa gave an insightful presentation.